An educational non-profit 501(C)(3) musical organization whose members volunteer their time & talent for your listening pleasure. Click for: Thomas Eishen Online: featuring truly evocative & striking images of Gettysburg & other civil war battlefields, plus audio "color" by the Old Arizona Brass Band, publications, etc. YOU LIKE THIS OLD BRASS BAND MUSIC, BUT DON'T KNOW WHERE TO FIND MORE? So much audio & video is available now. Prepare to be amazed & delighted!!! . Love music, history & Americana? 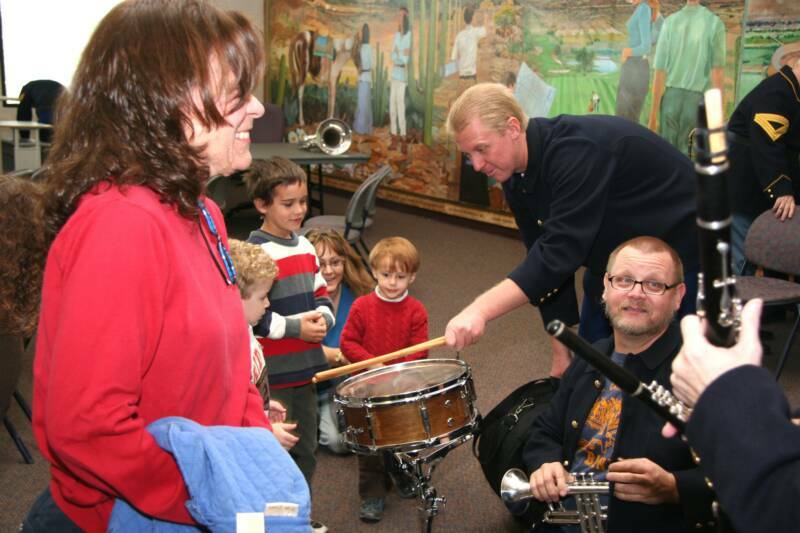 Join the Old Arizona Brass Band! This web site is dedicated to our founders & dear friends Ray & Nancy Hicks who passed away 07/01/06 & 03/25/07 respectively. The world's a much better place because they were in it! Check out our newest CD Album, the first one since our original CD in 2001. It is Titled "Music From the Western Frontier - Vol. 2"
Next Up - Ft. Lowell Day at the Ft. Lowell Museum on Saturday, February 9, 2019. We play at Noon in front of the Museum. See our schedule page for complete information about upcoming events. 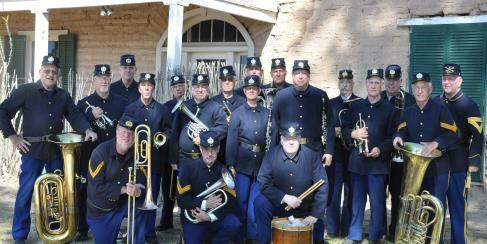 The Old Arizona Brass Band (Tucson's Historic Brass Band) was founded in Fall of 1996 (first performance early 1997) by Ray Hicks, our long-time bandmaster, friend & mentor to provide a living representation of the military and civilian bands that performed throughout Arizona during the period 1872 to 1912. 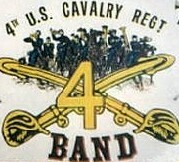 Our music, uniforms, and instrumentation reflect a transitional point between the all brass "over the shoulder" instrumentation of the Civil War years and the shift to primarily bell-front brass & expanded mix of reed and brass instruments of the modern day concert band. Our instrumentation may look more familiar to moderns than a Civil War band, but our frontier sound emphasizing Eb voices in cornet, alto horn, tuba, ( & even clarinet on occasion) probably won't. 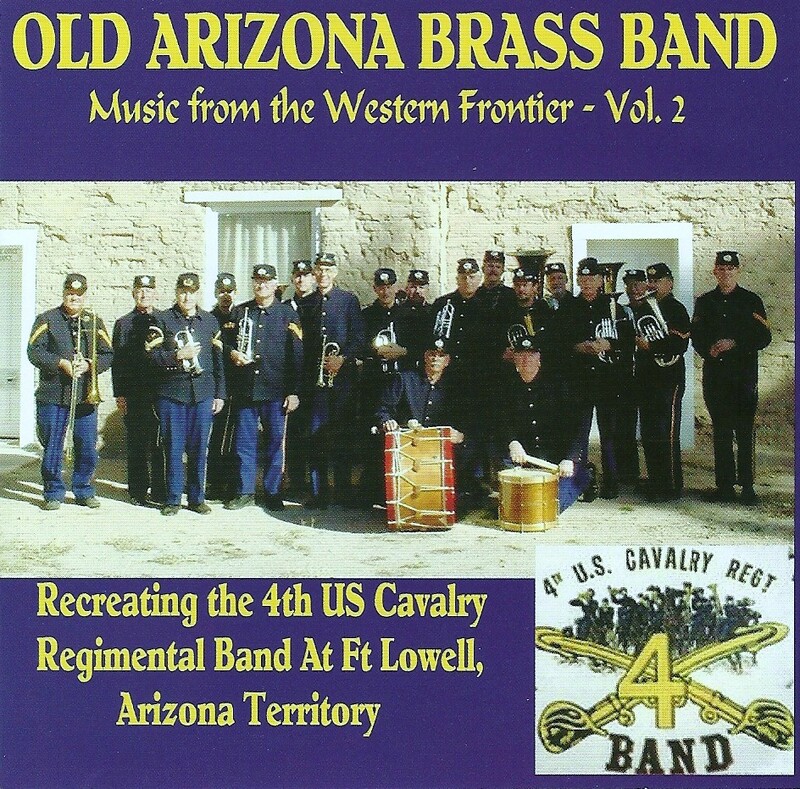 (Not to mention the oldtimers' love for oompah, snap & military snare that crops up in the strangest places...) When you see & hear the Old Arizona Brass Band, you experience the real music of the military and town bands of the western frontier. Mostly we stick close to home, Tucson, Arizona, but darned if we don't show up from time to time elsewhere in Arizona & New Mexico as well. 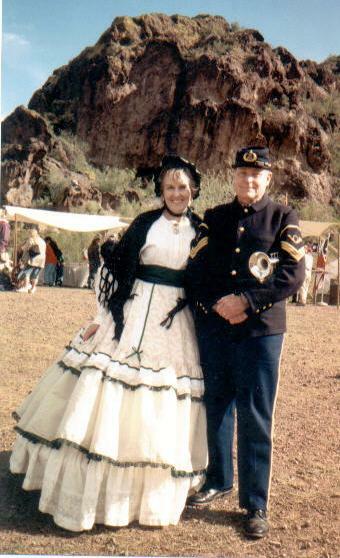 You've probably seen us at the 4th Avenue Street Fair, the annual "Civil War in the Southwest" at Picacho Peak State Park, or beside the Ft. Lowell Museum during February's Reunon De El Fuerte. ...Not to mention, recent forays down Tombstone way, at the ranch in nearby Colossal Cave Park, or breaking forth in melody beside Engine #1673 at the restored railroad depot in downtown Tucson (the venerable Old Pueblo). Basically any chance to perform mid to late 19th-century Americana scored for brass band is our meat & potatoes. 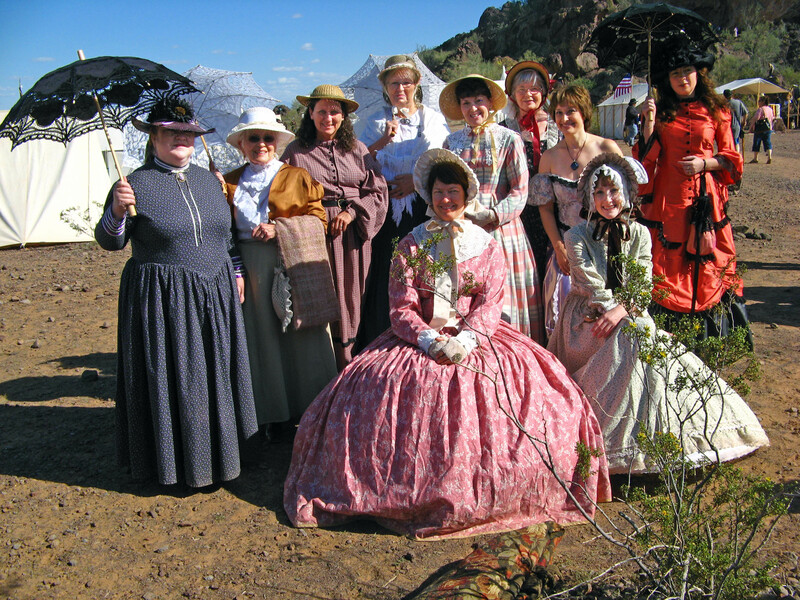 So, if you're planning a historical celebration, vintage-style ball, fair, festival, concert, etc., sign us up! In keeping with our educational goals, it is our fond hope that the lists maintained on this website will encourage citizens of the 21st century to discover the riches of 19th-century brass & transition band music while saving confirmed enthusiasts much time & effort. Suggestions & corrections much appreciated.